This page is now under construction!! In the early 80's I started on band 3 (175~240MHz) with receiving long distance analoge television signals. 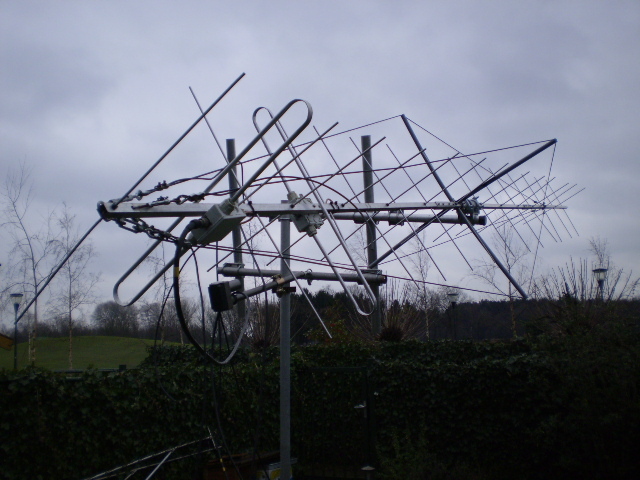 Equipment used at the time was a home made 8 element yagi tuned for the upper tv channels (ch E9, E10, E11) with a BFT66 broadband pre-amp. Television was a Philips B/W portable. Here are some pictures of television signals received via tropo propagation. Now in europe the analoge tv channels are phased out to make room for digital audio broadcasting transmitters. In 2003 the old receiving system described above was used to receive the lake kickapoo radar fence on 216.980MHz via moonbounce. On this page is more information about these experiments. Then I rebuilded the system into an 2x14 element x-pol yagi with an 3SK183 GaAs-fet mast mounted pre-amp. For each polarisation channel there is a separate pre-amp. The system is designed for weak signal operation such as moonbounce. The FRG-9600 receiver is used. The systems primairy use is receiving reflections from the navaspasur radar via high orbiting satellites. Here is a document how to do this. It could also be used for one-way moonbounce qso's with US stations on 222MHz. Stations are invited to contact me. We can try. 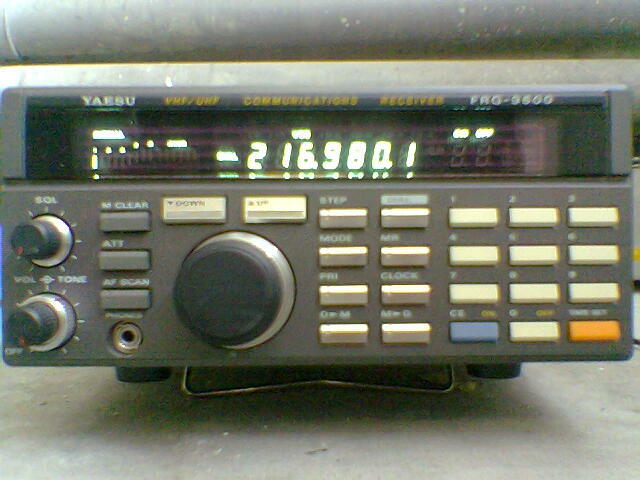 In europe the 222MHz is not an amateur radio band. So SWL only from my side. In 2007 the 6 meter long 2x14el was replaced by a single 10 el yagi. I wanted to remove the long yagi out of the garden and put up a smaller yagi into the tower. 2x14 Elements 217 Mhz Yagi. 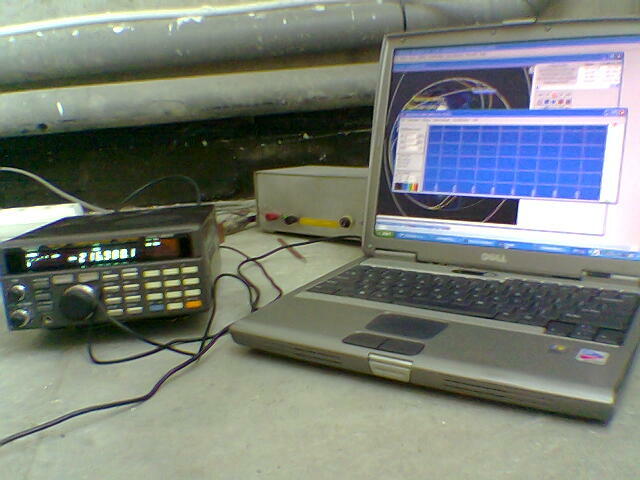 Horizontal and Vertical Polarisation 1x10 Elements 217 Mhz Yagi. Vertical polarisation. For DAB receiving a 10 elements vertical polarised yagi is used with Sangean DDR-3 DAB receiver. Recently in the Netherlands transmitters are active on channel 12c 227.360 MHz for Digital Audio Broadcasting (DAB). In other parts in europe the lower DAB channel are also used 11a-d, 12a, 12b and 12d. With this system its no problem to receive the DAB signals and so far I have had no interference of the DAB with the weak signal operations. On the other hand DAB DXing looks like an emerging area to discover.